5. Looking for a banner to celebrate the day? 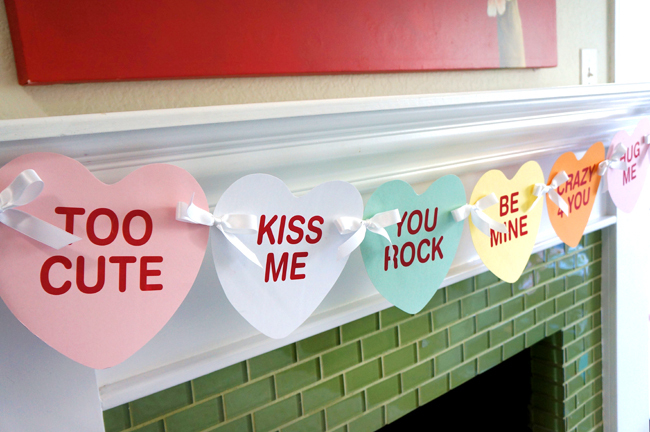 Try this Easy DIY Valentine’s Day Banner from Popsicle Blog. Love the candy hearts!